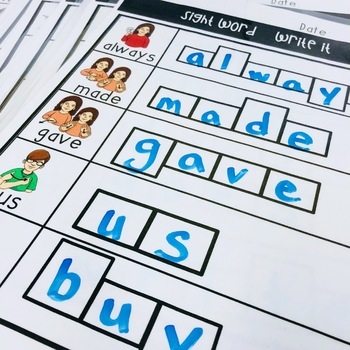 We know that students need MULTIPLE exposures and practice with sight words before they are able to add them to their expressive, receptive, written and reading vocabulary. 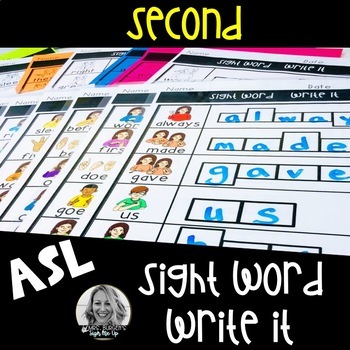 For students using ASL, they must learn both the signed and printed forms of the words. 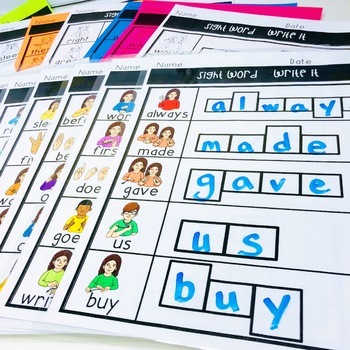 While students with access to spoken English are able to connect the written words to what they hear, deaf and hard of hearing students must connect the printed word with what they see/sign. This simple print and go center is quick to set up and easy to use. This set is part of a series. Each part of the series comes with both worksheets and hands on practice. 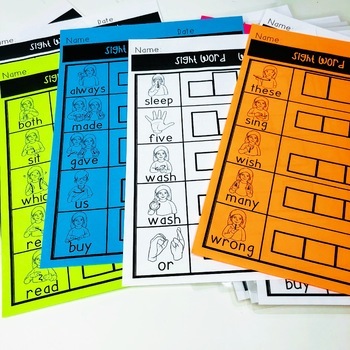 In this Write It set, students will be practicing with 50 words from the Dolch Second Grade Sight Word List.